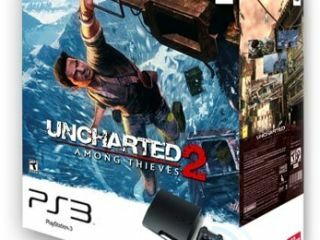 The sales of Uncharted 2: Among Thieves are rivalling that of PlayStations sold in the UK. According to stats recently released the unanimously-praised game is close to hitting 3 million copies sold worldwide – the same amount of PS3's Sony has sold in the whole of the UK. game and is now closing in on three million copies sold worldwide." He also notes that the UK, US and Japan spent 15 per cent more on software in 2009 compared to 2008 and a 36 per cent sales increase of PS3 hardware. Tretton also looks to the future in his blog, saying: "We're also bringing groundbreaking technology to the masses with the launches of 3D gaming and the new motion controller later this year. "We know both will open entirely new doors for you to enhance your gaming experiences and will provide new ways for you to think about interactive entertainment."